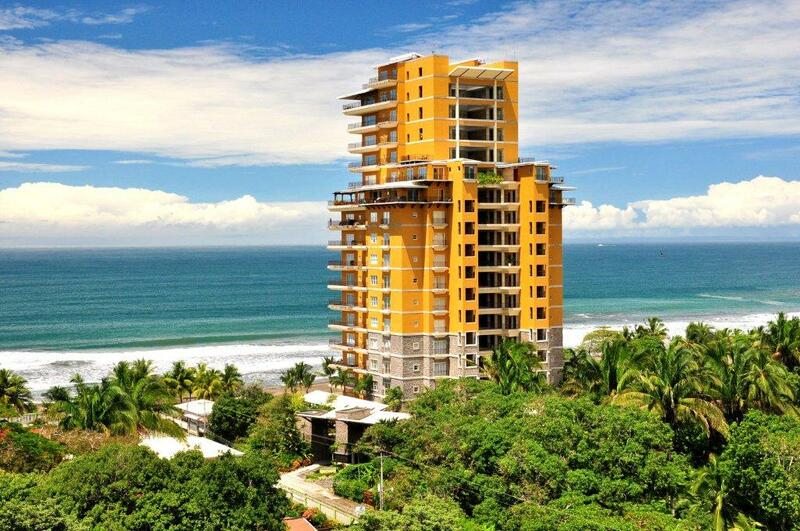 Enjoy your tropical vacation from Vista Las Palmas, luxury beachfront condos, located in the heart of Jaco. 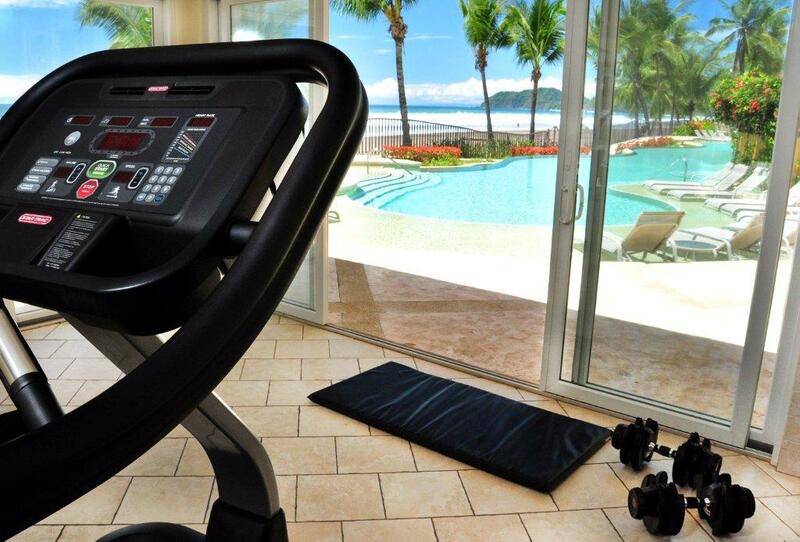 Nothing says ‘holiday’ like the sound of the ocean and a sun-kissed tropical breeze. 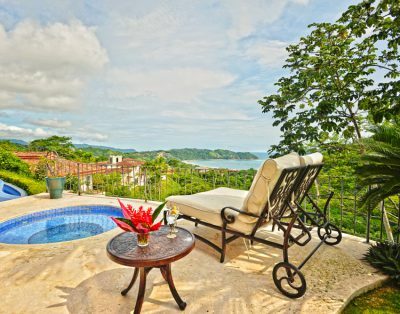 From the generous terraces of VLP, you and your family will enjoy both of these soothing elements, not to mention awe-inspiring sunsets, which set each evening, right in front of you! 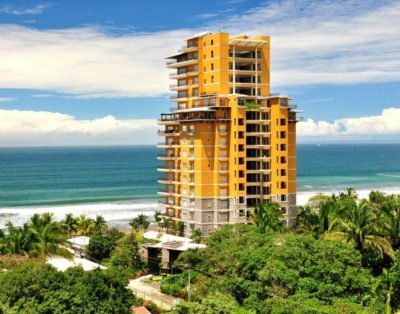 Vista Las Palmas has one of the largest and prettiest aqua green pools, which expands the full width of the building, allowing plenty of lounge and sun bathing areas. 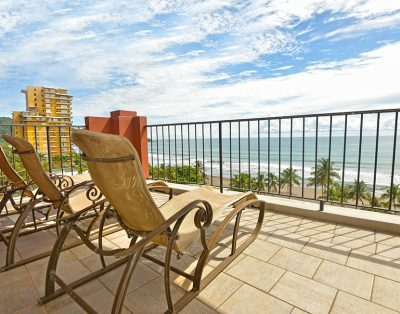 Guests agree that the focal point of this modern and chic, ocean front condo is a combination of the outdoor space that is accessed either by the the living area or the master bedroom and the fact that the floor plan is open and bright! 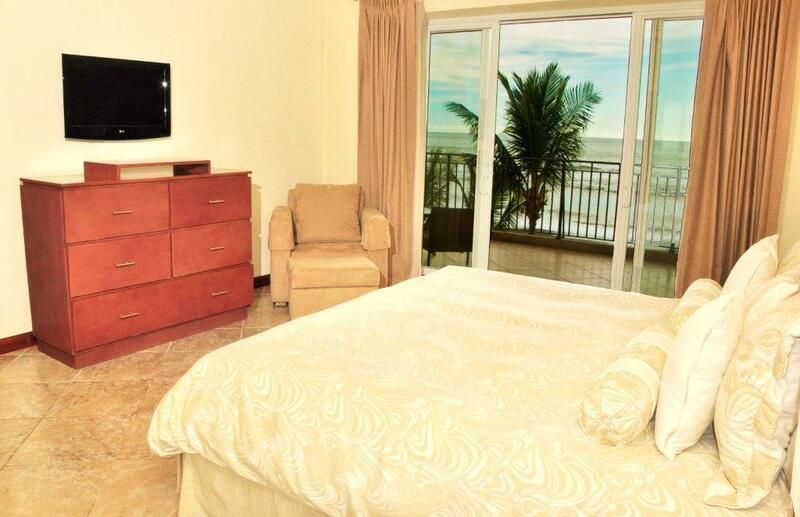 The Master bedroom with its sliding glass doors that connect to the ocean vista terrace allow guests to enjoy the view from bed! 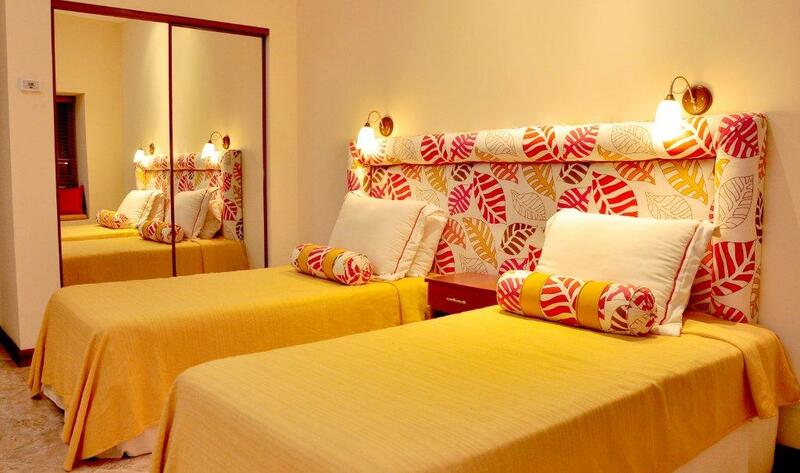 This bedroom also boasts a lovely ensuite bathroom and spacious closet. 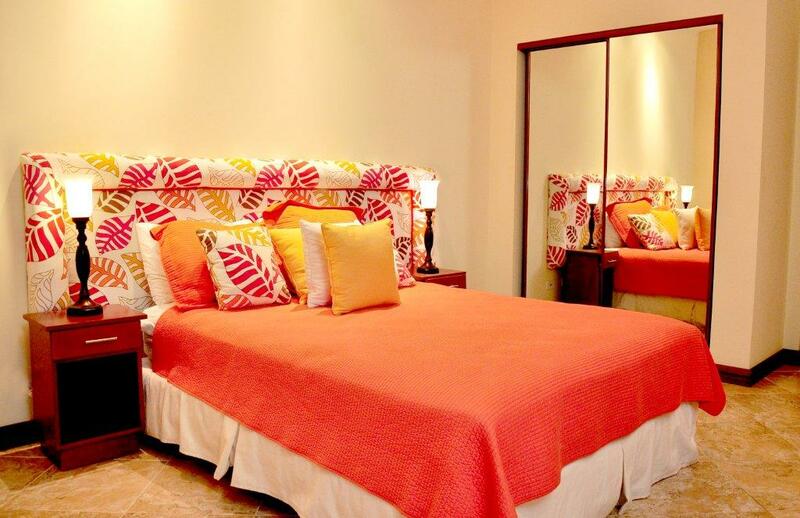 There are two other bedrooms each with beautiful ensuite baths, ensuring the whole family can stay together comfortably, throughout your tropical holiday! The kitchen features top of the line stainless steel appliances and a large island that doubles as a breakfast bar. 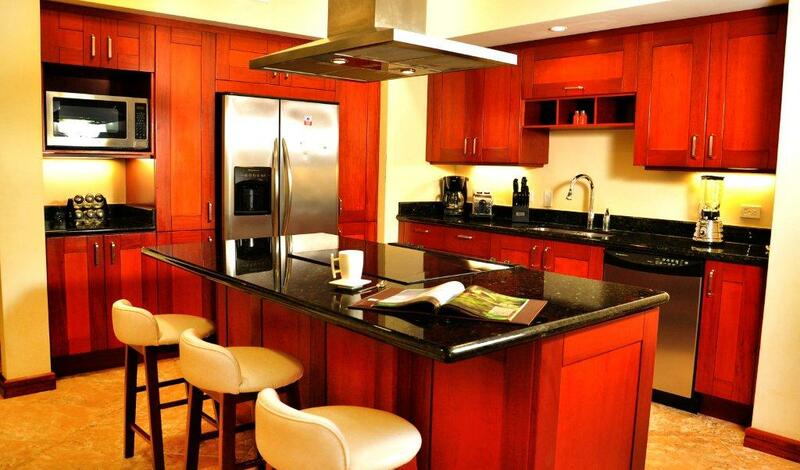 Beautiful wood cabinets contrast the black granite countertops. 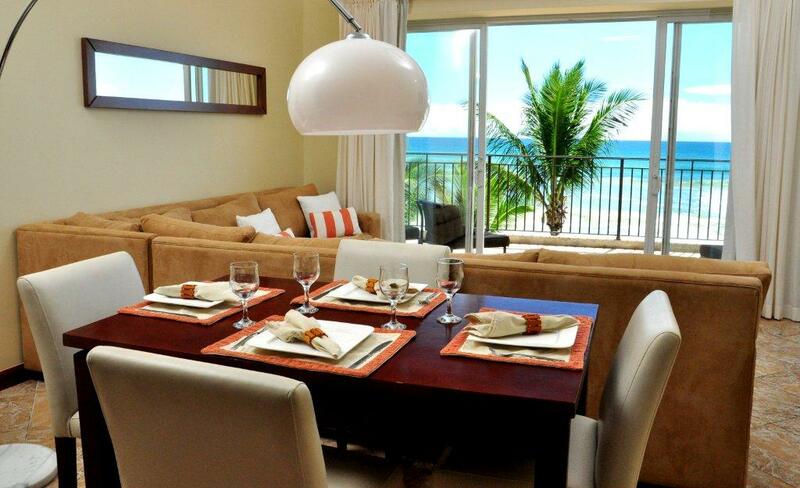 The open flowing concept of the condo allow the kitchen to connect directly to the living and dining rooms. 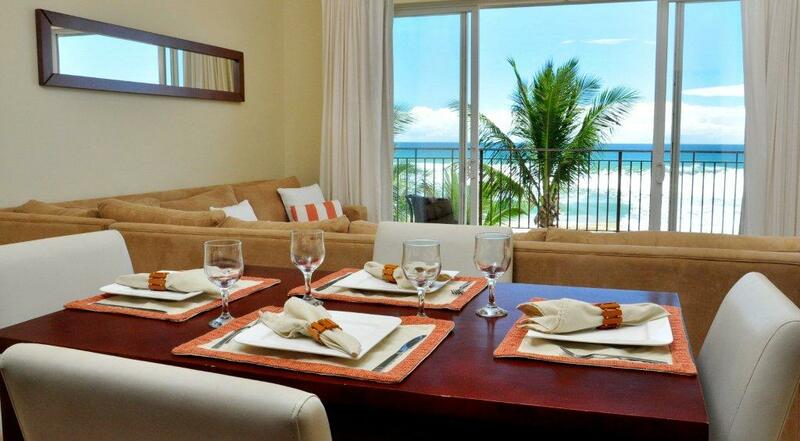 Enjoy Cable TV from your beautiful living room on relaxed nights in after sharing a family meal at the dining room table. 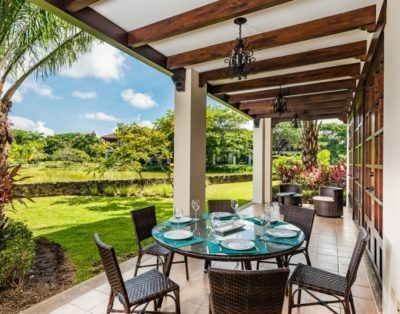 Vista Las Palmas is centrally located, which will allow you to explore on foot, the shops, restaurants, spas and nightlife of the vibrant beach town of Jaco. There is truly something for everyone in this charming little town! 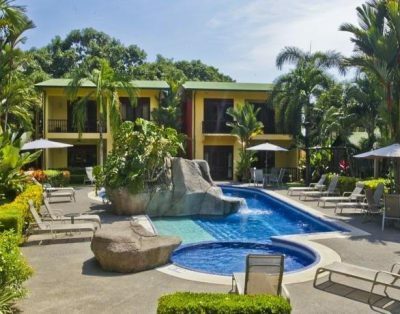 Make Vista Las Palmas the home for your next vacation in Costa Rica!